Vancouver Island Business Success Stories: Environmental Dynamics Inc: "We have a busy office in the Mid-Island for a reason." 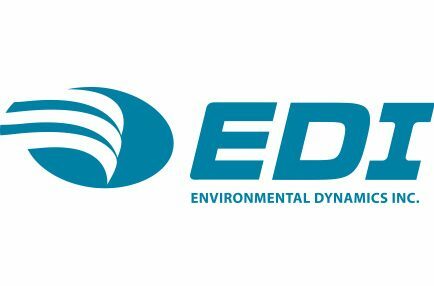 EDI Environmental Dynamics Inc. (EDI) is an environmental consulting firm of more than 80 full-time environmental professionals. They chose to open an office in Nanaimo a decade ago for both business and quality of life reasons. EDI Environmental Dynamics Inc. (EDI) is an environmental consulting firm of more than 80 full-time environmental professionals – biologists, hydrologists, agrologists, ecologists, scientists, and planners. Established in 1994, EDI has expanded over the past 24 years to include offices in Nanaimo, Victoria, Vancouver, Prince George, Grande Prairie, Whitehorse, Calgary, and Saskatoon. Through our philosophy of “Down to Earth Biology”, we have built the company to be one of the most stable and highly respected environmental consulting firms in western Canada. And, we are a great place to work as evidenced by the many “Employer of the Year” and “Corporate Culture” awards we have been nominated for and received, both regionally and nationally. EDI offers environmental services related to aquatic and terrestrial science, environmental assessments, environmental management and planning, monitoring, habitat restoration, and collaboration with Indigenous communities. Our team has a great sense of community spirit and are active in the places we live. In Nanaimo, EDI supports many worthy causes including the BC SPCA, the Nanaimo Foodshare Society, the Pacific Salmon Foundation, and the Salvation Army. EDI chose to open an office in Nanaimo a decade ago for both business and quality of life reasons. From a business perspective, Nanaimo provides EDI with a strategic, central location to serve Vancouver Island clients who are undertaking important projects. We also work closely with our colleagues in Victoria and Vancouver on an ongoing basis. There are domestic flights to connect to every major business centre, and Nanaimo provides easy access to the Vancouver market through reliable transportation options. When asked what they like best about the mid-Island and Nanaimo, EDI employees say that Nanaimo is a small city, but has all the primary amenities and more. The winters are pleasant and short, and the summers incredible! The mid-Island provides easy access to the Gulf Islands, the West Coast, and the northern and southern regions of Vancouver Island. Furthermore, the mid-Island has an exceptional number of options for great year-round outdoor activities, such as mountain biking, kayaking, hiking, camping, skiing, among many others. Take your pick. It is also about Island living, where there is a strong importance on lifestyle, while still having meaningful work opportunities. Not to mention that there is so much to see and do. There really is no mystery why mid-Islanders are friendly, happy people. We love living and working here. The mid-Island provides many business opportunities, and allows EDI staff to find affordable housing, have shorter commutes, and enjoy all of what the Island has to offer.